2. 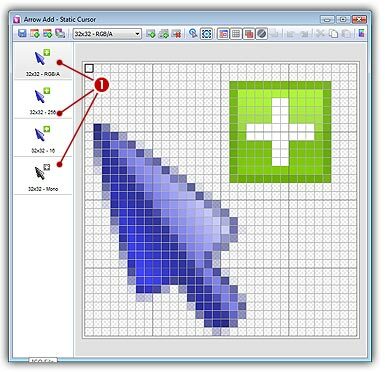 For example, open the file located in the librarian: "Cursors\Tutorials\Arrow Add.png". The image file opens in a document window. 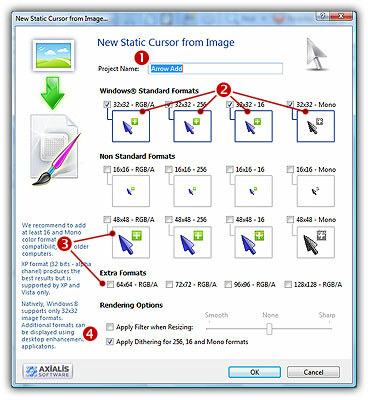 Axialis CursorWorkshop will convert images to 32 bpp with transparency when possible. This is much more convenient to create cursors. The following image formats can include transparency: Photoshop® PSD, PNG, RGB, GIF, JPEG 2000 and WMF.